We proudly serve Solon, Greater Cleveland & Northeast Ohio since 1955. Schedule Online & Save $5! START SAVING MORE GREEN TODAY! When you need a trusted and experienced professional to help with your home’s plumbing, heating or air conditioning system, rely on our team at Arco Comfort Air. With more than 60 years of serving homes and businesses in Solon, we have the firsthand knowledge, training, and skill to ensure that you get the services you need when you need them most. From air filtration to heater or AC repairs or replacements, we can do it all. We take pride in delivering quality work and an excellent customer experience. Our team is dedicated to providing outstanding service and affordable rates through various financing options. As one of the leading heating and cooling companies in the region, we have earned a name as the go-to team for reliable technical skill and customer service. We have easily become the most reputable plumber and HVAC Company in Solon and the surrounding areas. Any company can repair your HVAC unit, but here at Arco Comfort Air, we check in with you to ensure that you are still happy with our work. 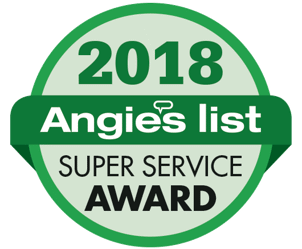 We are proud to have earned an A+ rating with the Better Business Bureau, and we have many positive reviews on Angie’s List and other reputable sites. When you need help with your air conditioner, furnace or plumbing, our team will be there at your earliest convenience. Schedule your service today by calling (216) 220-2566 or filling out our form. Arco Comfort Air is known for our excellent service and great quality work. Read what others have said about our services. If you are interested in receiving an estimate or would like to schedule a service appointment, contact us! We're available 24/7 for all your heating, cooling and plumbing needs. We proudly serve Solon, Greater Cleveland, Northeast Ohio, Akron, and Canton. Become Part of This Network Today!